Machinists looking to connect CNC machines to computers have different needs. Perhaps they want to monitor OEE, or they want to send programs remotely. DNC Software – Making sure programs are sent to the machine, as well as revision control and complete CNC networking can be accomplished with one system. DNC (or drip-feeding) is done via parallel, RS232, RS422 Ethernet, or wireless Ethernet for thousands of your machines. Control programs from the shop floor PC. 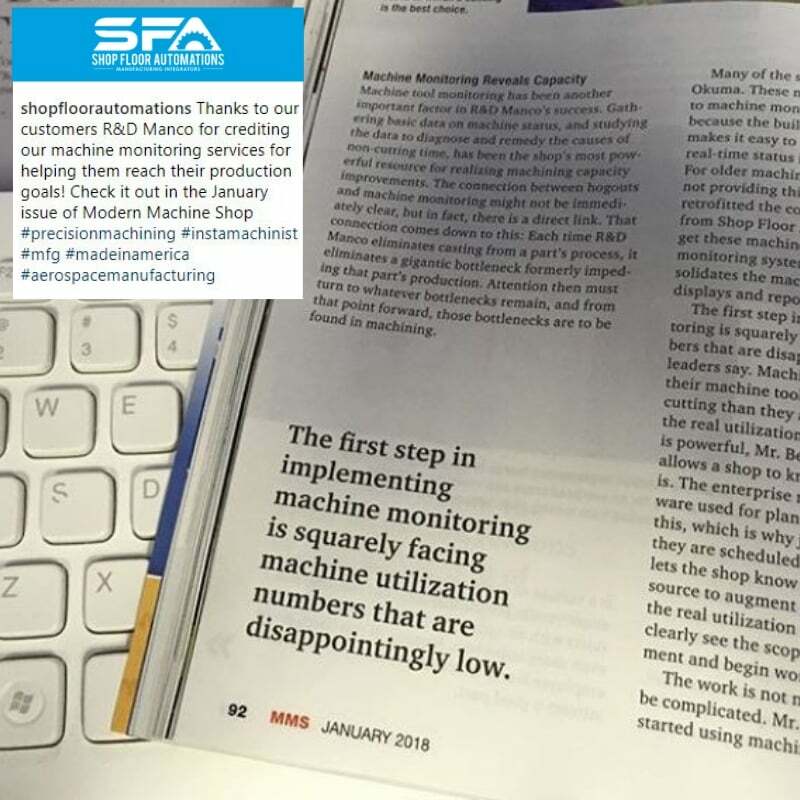 Machine monitoring – Manufacturers want their machine data, and they have a need to see it beyond standing at the machine. Seeing OEE on computers in back offices, or on real-time viewers, or even on the go via laptops or smart phones, are all possibilities. Hardware – You want to make sure your software interacts with the shop floor environment. Wireless and wired hardware will help with PC to CNC transfers. Modified PLCs will help to grab data off of old machines. Older laptops can be connected to CNCs with the USB to Serial plus an RS232 cable. There are so many possibilities! Want to convert your RS232 port into USB? Need to replace floppy disks? 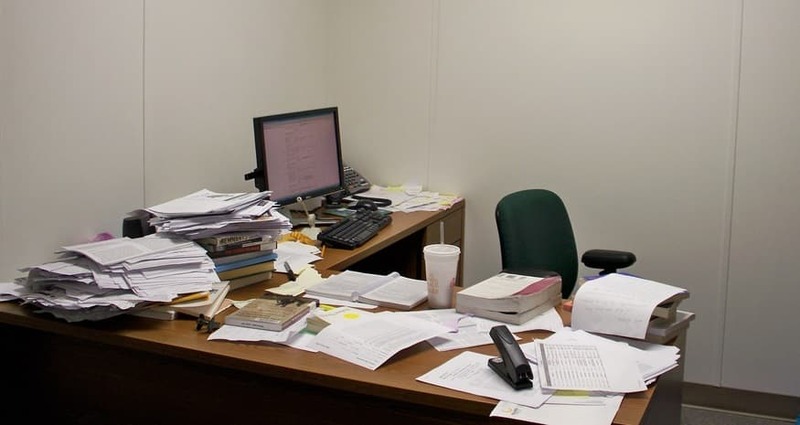 Want to go paperless? We can help with that, too! Fill out our online contact form or call (877) 611-5825. We can’t wait to start the conversation! 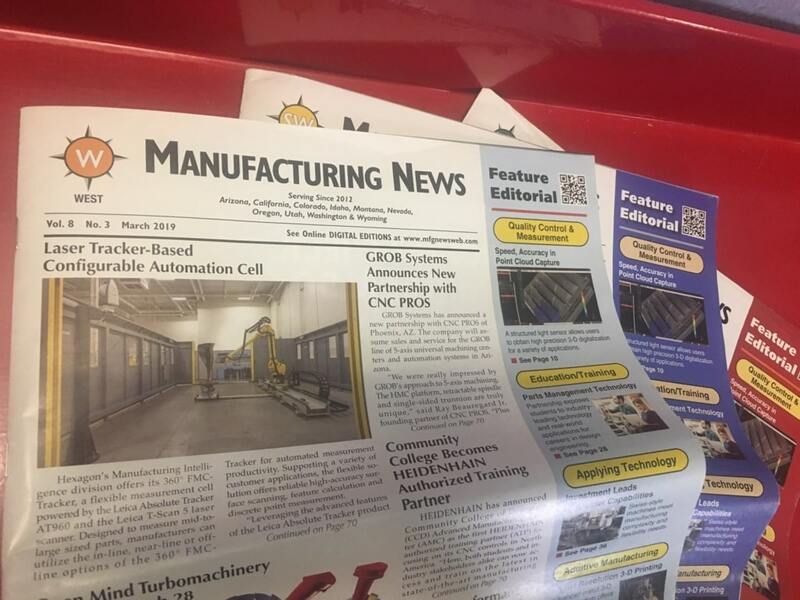 A long standing publication with a classic newspaper vibe – we are proud to have been featured in Manufacturing News many times. The issues focus on different regions and their varying Made in America goals. Our case study with R & D Manco in Arizona appears in the December 2018 issue. This manufacturer previously had experience with our CNC Editor software and our hardware. However, they implemented an on-premise machine monitoring system after a pilot program. Because of this, they boosted their productivity in a short period of time. Proving return on investment for automation solutions can be complicated. Because of this, we created an article for decision makers on how to lay these details out. Some pieces of valuable information in this process are equipment compatibility, evaluating processes and having alternative options available. This article appears in the November 2018 issue. The medical manufacturing industry is a very high-volume business. 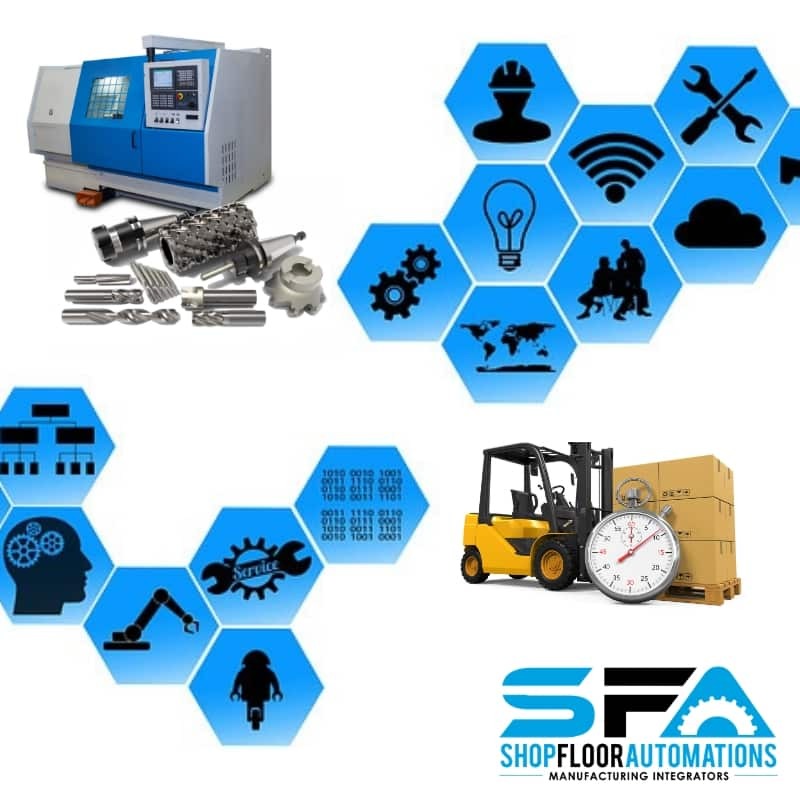 We constantly work with these shops to find the best automation solutions for them. Specifically, we always recommend OEE (overall equipment efficiency) monitoring. The top four benefits to this software appear in the April 2018 issue. 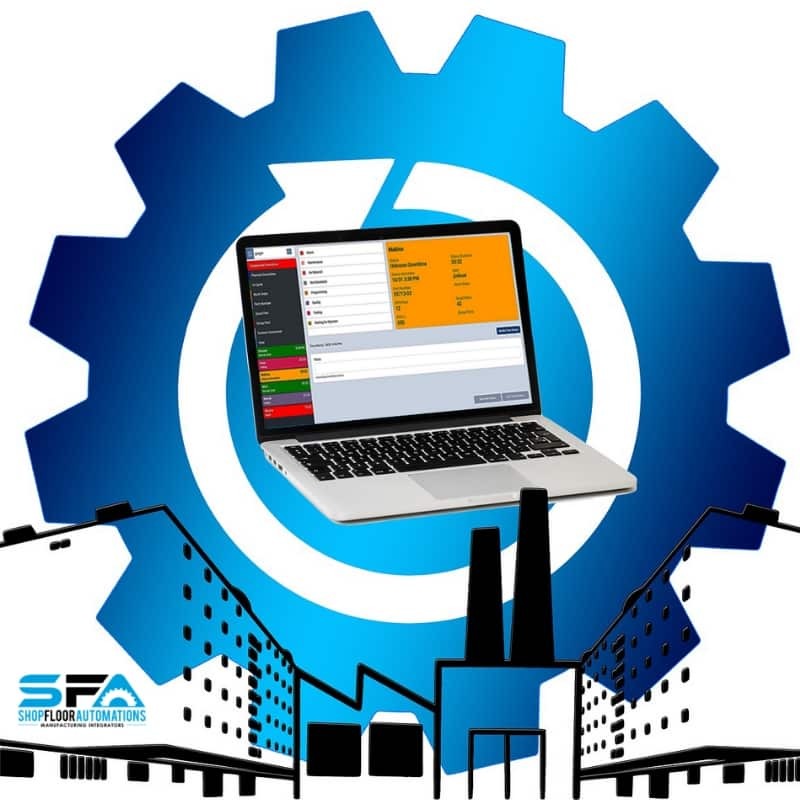 Wondering what the best industrial automation solutions are for your shop floor? The biggest factors to focus on are your budget, needs, and the equipment you want to improve performance for. Check out our guide for popular brands of manufacturing equipment and what you can do with them! We also recommend contacting us with your make/model information, as well as checking out our YouTube channel. What equipment is compatible with MTConnect? We have a detailed compatibility guide. Moldmaking is a rewarding area in our industry to work within. Plastic manufacturing touches many facets of our daily lives. Just ask those who work in the field! “Moldmaking and injection molding is at the very heart of the plastics industry,” says Nishit Shah, Mold Design Engineer at Nypromold. 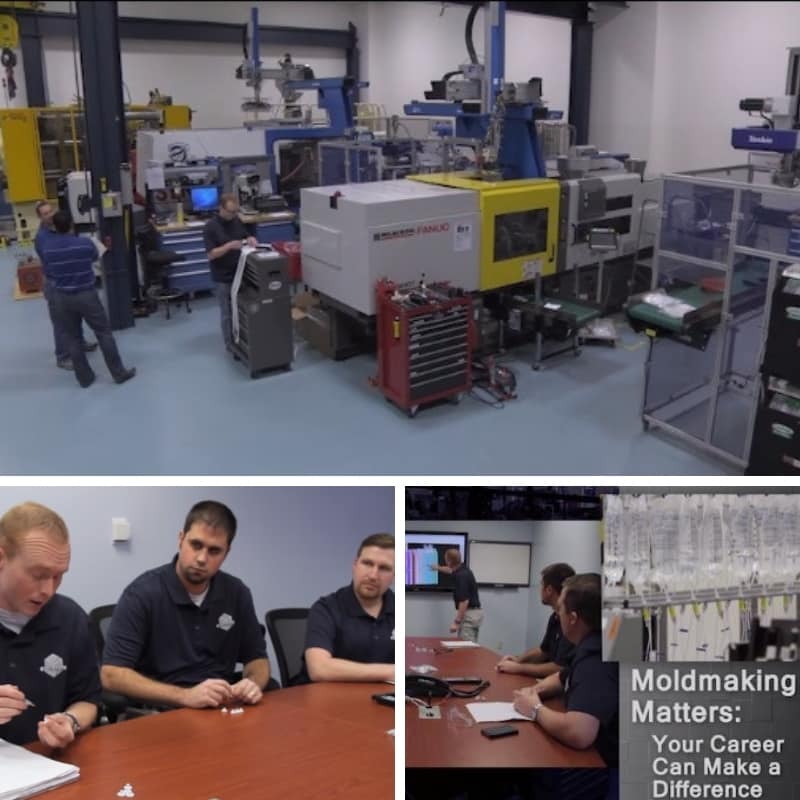 Moldmaking Technology released an in-depth piece where they interviewed plastic manufacturers. Nypromold was the highlighted company in the article. “We take plastic pellets, melt them in the machine, and inject them into the mold,” says Amber Zapatka, Plastics Engineer. Holding both a Bachelors and Masters in Plastics Engineering, she states her work is like a puzzle. “What’s the best way and fastest way to make good parts each time?” Amber and other employees in her field are constantly looking for ways to improve their processes. According to SME’s ToolingU Manufacturing Management Supervisor Essentials Course, just because you’re a manager doesn’t automatically make you a leader. Leaders cope with change and complexity. Have you taken the time to lead your shop floor recently? Do you know things needs to change? Typically, those who need automation tools are the machinists, production workers and shift supervisors on the shop floor. Production managers also find these solutions, but often, those who are directly making parts bring their requests to the production manager. The best approach for the production manager or anyone wanting change would be to present these solutions to decision makers at the company. Usually, the Quality, Engineering and Maintenance departments above Production Management won’t have this authority, so let’s go further. The first step is proving the value of automation solutions to Departments such as Purchasing, Finance/Accounting or even as high up as the President/Owner. You can check this article from MFG Talk Radio on proving manufacturing ROI to help in this mission. Situational Analysis – Identify the shop’s areas of success and where improvement is needed within the organization initially. Correct Project Planning – The best process for planning projects is to define objectives, determine the realistic scope/budget, create a work breakdown structure, then delegate approved tasks out. If you’re not in management, draft a plan to present to a higher-up. Forecasting – Can you predict or measure demand and control costs? Looking at production for the next three to five years may seem like a long time frame, but this is the most common strategic plan used. Organization & Planning Tools – The correct resources will help your company’s longevity. They range from budgeting, charts, and scope, to your staff and staffing choices. Monitor & Control – Yes, we always recommend machine monitoring, but there are other observations to make. Once a month, curate productivity reports. Do operations research and evaluate your schedules based on historical data. Ready to move forward? Call (877) 611-5825 or fill out an online contact form. Manufacturers with Fanuc CNC machines have specific needs. Especially when it comes to the subject of shop floor automation. 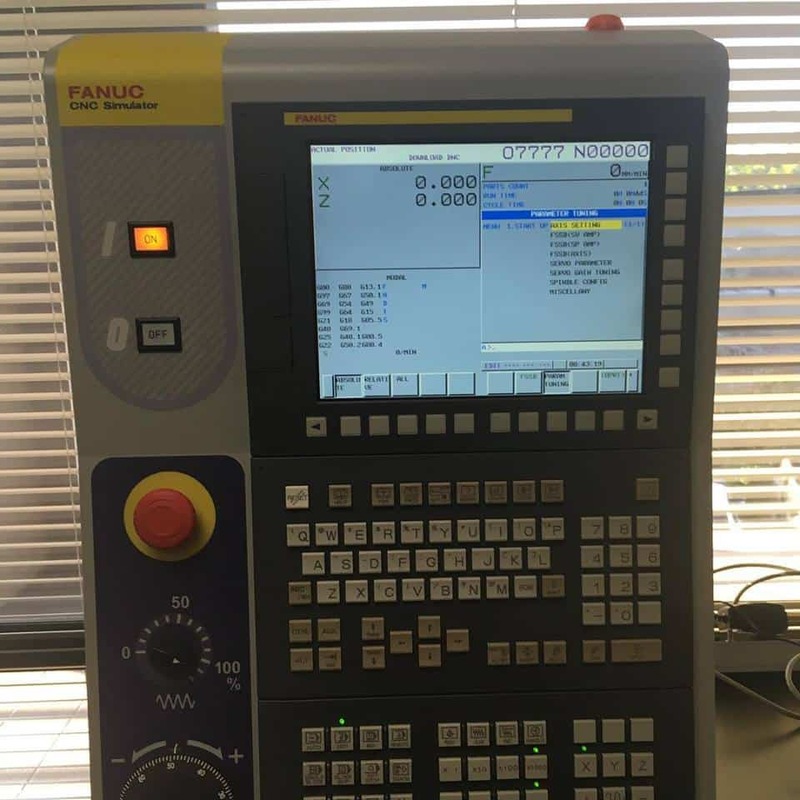 Can you do machine monitoring with Fanuc equipment? Yes! DataXchange machine monitoring supports Fanuc FOCAS. You can monitor this equipment on-premise or via the Cloud. Is Fanuc FOCAS similar to MTConnect? MTConnect enables equipment to provide data in structured XML versus proprietary formats. FOCAS is either Ethernet-based or sourced via the Fanuc FOCAS HSSB driver. Library files (.dll) are accessed by applications that retrieve the data. Controls with Fanuc FOCAS: Fanuc FOCAS has two types: FOCAS 1 and FOCAS 2. Controls with Fanuc FOCAS include series Oi, 15, 15i, 16, 16i, 18, 18i, 21, 21i, 30i, 31i, 32i and power mate i.
Fanuc Alarm Codes: Common FANUC alarm codes are 086 – no hardware handshaking occurring. Also, look for DR Signal Off, which means your cable connection is bad. Another common code is 073, where the program number has already been used. 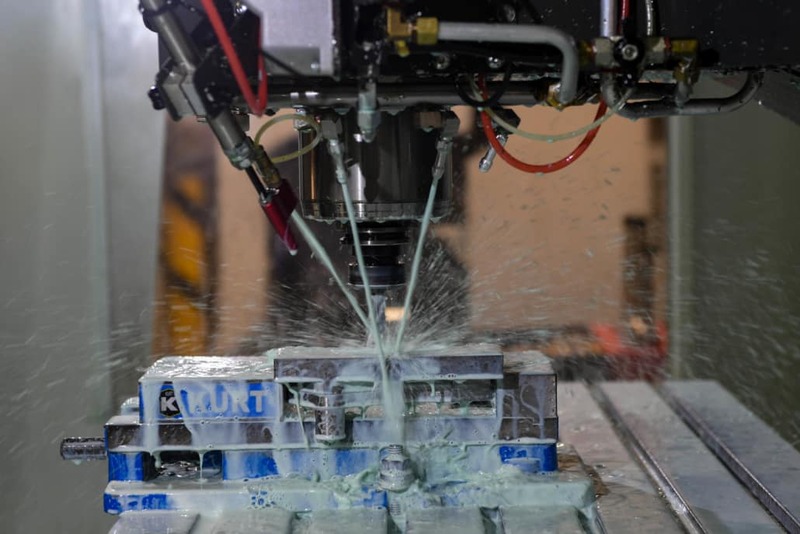 Need An “Automate CNC Machines” Game Plan? First, Create a Healthy Technology Relationship: “These tools have been developed not for nefarious reasons, but to improve the way we do business or the way we live.” Production Machining Senior Editor Chris Felix explains this topic in their April 2018 issue. Basically, any shop floor automation solutions will involve an investment. You want to make sure that those using machines and equipment will take advantage of these tools. “Start with an internal audit of end-to-end operations to identify weak spots and insertion points where new features can be introduced.” Doing this will allow you to evaluate what goals are obtainable on your shop floor. Then, Integrate IIoT: “An IIoT platform is a set of hardware and software facilities that assist and support [an] application for industrial companies using the internet to connect devices and equipment,” says Mark Albert in the Modern Machine Shop November 2017 issue. 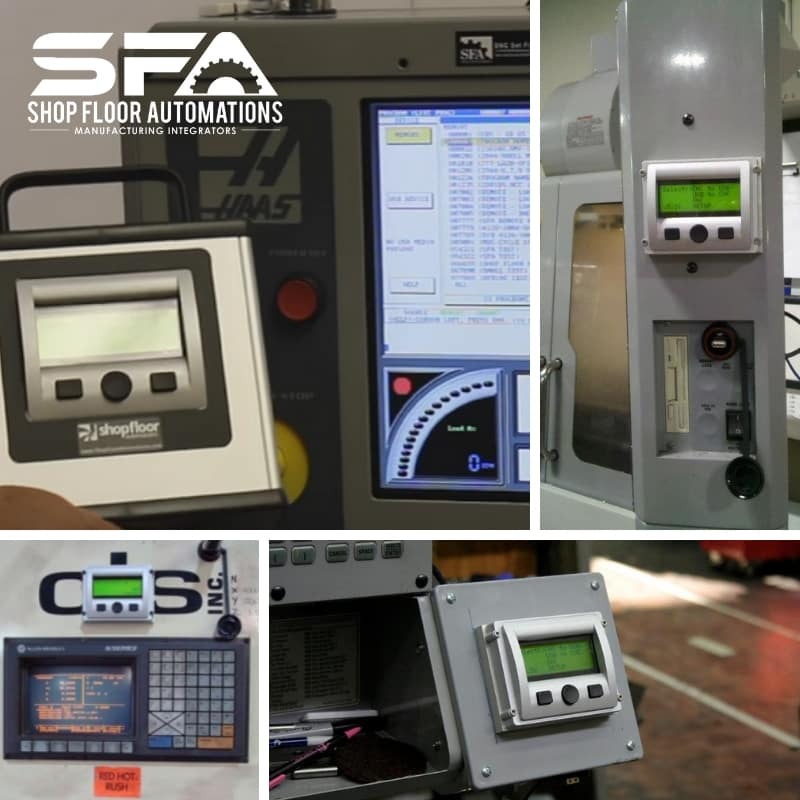 https://www.shopfloorautomations.com/wp-content/uploads/2018/04/SFA-Site-Logo-300x138.jpg 0 0 Amanda Rosenblatt https://www.shopfloorautomations.com/wp-content/uploads/2018/04/SFA-Site-Logo-300x138.jpg Amanda Rosenblatt2019-02-07 22:26:332019-02-07 22:31:36Need An "Automate CNC Machines" Game Plan?